The Board in a reexamination of a hearing aid patent obtained by Hear-Ware found the claims unobvious because HIMPP had not provided evidence that an element in two dependent claims (which seems to be just a plug in connector) were known ‘prior art’ elements. “Instead [of the KSR facts, this case] is about whether the Board declined to adopt a conclusory assertion from a third party [HIMPP] about general knowledge in the art without evidence on the record, particularly where it is an important structural limitation that is not evidently and indisputably within the common knowledge of those skilled in the art.” Slip op. at 7. 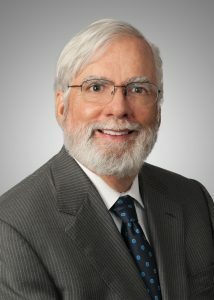 Not surprisingly, Judge Dyk’s dissent argued that the decision is inconsistent with KSR and has partly rebuilt the “rigid preventative rule that denies factfinders recourse to common sense”, thus impairing the ability of Examiners to “review applications properly.” As a practitioner, I respectfully dissent from this dissent but, ultimately the Fed. Cir. may find that this appeal was not the best start at constraining the reach of KSR. K/S HIMMP v. Hear Wear Technologies, LLC, App. no. 2013-1549 (Fed. Cir., May 27, 2014). This entry was posted in Obviousness and tagged Hear-Ware, HIMPP, judge dyk, Judge Lourie, KSR, Patent Law, reexamination, Warren Woessner. Bookmark the permalink.